As an employer in the United States, you have the option of offering your employees group health insurance. Employees also have the choice of purchasing individual health insurance. Both health insurance options can provide workers with the coverage they need to maintain optimal health. However, there are some distinct differences between the two that must be considered. Learn more about the differences and similarities between individual and group health insurance and why you should speak to a benefits consultant before making a decision. Health insurance that is provided to employees by an employer is known as group coverage. When an employee purchases health insurance on their own, it is called individual coverage. Unlike traditional employer-sponsored health insurance, individual insurance requires employees to shop around for plans that cover their health needs and possibly the health needs of their family. Employees are also responsible for purchasing their chosen plan, making monthly premium payments to the insurance company, and managing their overall health benefits. As a business owner, you may find ways to help employees afford individual health insurance, but the cost of these plans are ultimately the responsibility of your employees. There are a number of advantages that come along with choosing an individual health insurance policy. First, employees have the option of choosing an insurance company that they trust or have experience working with. Knowing that a certain insurance company offers the types of plans you want can make it easier when comparing policies. With an individual health plan, employees can also renew or change their health insurance plans as desired. Another great benefit of an individual health plan is that it is not tied to the employee’s career. This means that an employee can change jobs without losing their health coverage. With group health insurance, you have the ability to help your employees pay for health care expenses. 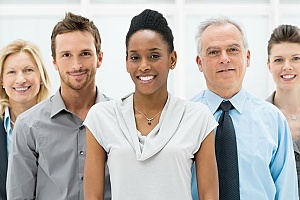 A business that has one or more employees may be eligible to purchase group health insurance. Most business owners and employees find group health insurance to be more cost-effective than individual health plans. With group health insurance, employee premiums are often less expensive than premiums that come with individual health plans. These premiums are also paid with pre-tax dollars which ensures that employees pay less during tax time. Employers are able to deduct annual contributions in their taxes and pay lower payroll taxes. Group health insurance refers to a single policy that is issued to a group which then covers all eligible employees. In some cases, the policy will also cover an employee’s dependents. The insurer then determines a premium price based on a variety of factors, such as the age and gender of the group members. Under federal law, small business owners are guaranteed group coverage if they want to purchase it, regardless of the health status of employees. Large companies can also choose to offer group health insurance and may face penalties if they do not offer coverage. If you do decide to offer group health insurance to your full-time employees, you must legally offer coverage to all of your full-time employees. However, business owners have the option to offer health insurance coverage to part-time employees, which means any employee who works fewer than 30 hours per week. If you do choose to offer coverage to your part-time employees, you must offer coverage to all of your part-time employees. These rules apply regardless of an employee’s age, gender, or any previous or pre-existing medical problems the employee may have. Similar to individual health insurance, group health insurance may offer a number of coverage options. It is important for business owners to consider what type of coverage their employees may need. Some of the most common types of coverage available include medical, vision, dental, life, and short-term and long-term disability insurance. You will also need to determine how much coverage you need. When making your decision, take into account the size of your business, your location, and what industry your business falls into. If you are not sure how much coverage is right for your company, speak with a benefits consultant who can guide you in the right direction. There are some other big differences that separate individual health insurance from group health insurance. First, group health insurance coverage for employees typically starts soon after hiring a new employee. This allows new employees to take advantage of health insurance coverage right away. However, individual health insurance plans require a bit more planning. Individual plans typically require employees to shop for and purchase a plan during the open enrollment period or soon after experiencing a major life event that qualifies for enrollment, such as becoming pregnant or nearing delivery. If you are a small business considering your health care options, know that group health insurance tends to be a better investment. As the employer, you will be responsible for paying a minimum of 50 percent of the monthly premiums for your employees. However, these premium costs can be deducted from your business taxes. You may also be eligible for other special tax credits which can drastically lower the amount you owe at tax season. When your employees make contributions towards their premiums the money is typically paid from their pre-tax salaries, which can result in substantial savings for them. There is no right or wrong decision when it comes to health insurance for your employees. 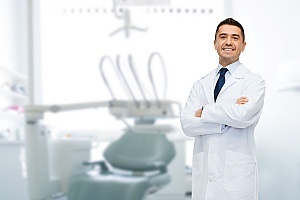 Every business is different and therefore requires different types of health coverage. 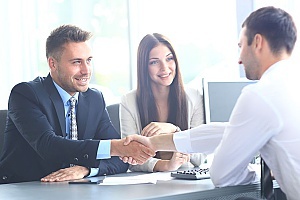 There are many factors to consider when deciding between individual and group health insurance and a professional benefits consultant can help you decide between the two. By consulting with professional benefits consultants, you can better understand your health insurance options and how your decision relates to your finances and tax situation. For more information about individual or group health insurance or to sign up for either plan, contact the professional benefits consultants at Business Benefits Group today.